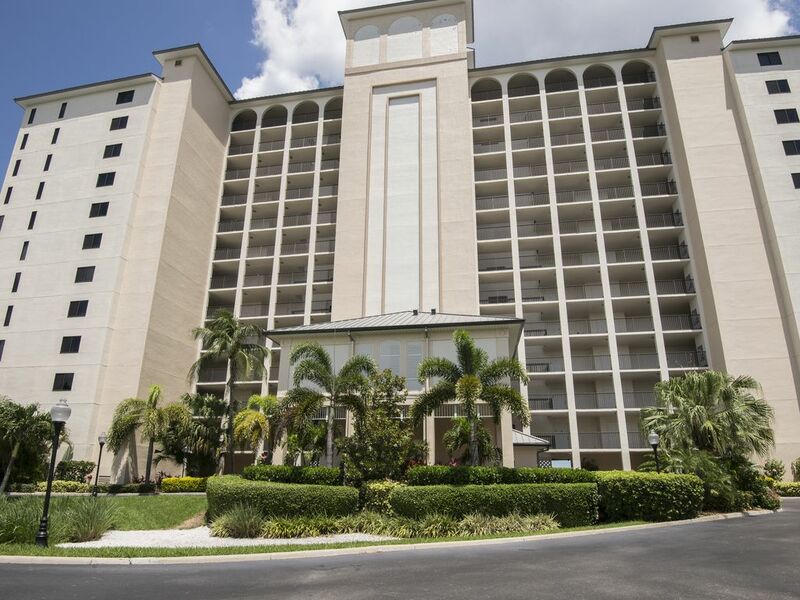 Sanibel Harbour Resort - 2BR/2BA - Panoramic Bayfront Condo! Condominium - 2 Bedrooms, 2 Baths, Sleeps 4, bay views from every room! This is our family's second home and our favorite place to be! It is a 1450-square-foot, two-bedroom, two-bath, luxurious, eighth-floor condominium at the newly renovated, world-class, Sanibel Harbour Resort and Spa; the only four star, four diamond resort in southwest Florida! The Sanibel Harbour Resort is situated on a private peninsula on 100 acres of lush, tropical, unspoiled, San Carlos Bay waterfront off the Gulf of Mexico. Situated at waters edge the unit has truly unobstructed, panoramic views of Sanibel, Captiva, Pine, and numerous preserve islands. Enjoy the many resort amenities or area attractions; or, just enjoy quiet times walking our private beach or just gazing out over the bay and islands from our large private lanai (balcony) to often spot dolphin, manatee, eagles, and other birds and wildlife. It seems you can almost reach out and touch them! Bay views from every room! and a western orientation for those glorious sunsets! Use our blender to make your favorite island drink, relax, and enjoy! I love being on the go, whether it's traveling, riding my motorcycle, golfing, cooking, or spending time with family and friends. Sanibel is one of my most favorite places to be. I fell in love with the area in the early 90's while visiting a friend's home. Upon discovering the Sanibel Harbour Resort, I knew that I had to someday live here. My first impression of the Resort was the beautiful 1/4 mile, tree-lined, private road leading to the Resort. Upon seeing the condo units for the first time with their view of the bay and sunset orientation I knew I had found my spot in Florida! toilet, shower, Marble floors and shower enclosure; granite counter tops. toilet, shower, Natural stone floors, shower, & counter top. Both baths recently renovated and beautifully decorated in natural stone. Double sink in master-suite bath. The Sanibel Harbour Resort is on the Punta Rassa Peninsula at the foot of the causeway to Sanibel Island on the San Carlos Bay system. And, on 85 acres of lush, unspoiled, natural habitat. A top rated resort. Spa services available, jogging trail, pool bar & sandwich hut, kayaks & water craft rentals, restaurants & bars on premises, etc, etc, etc. Private, white-sand beachfront with adjoining pool and hot-tub facilities with pool-deck furniture. So close to the bay you can feel like the building is floating on the water! Private beach-front, watch dolphin, osprey and other birds (sometimes an eagle or two) from our private lanai, which faces westerly for those gorgeous sunset views! Spa and fitness facilities owned and operated by the Resort. Use of facilities at additional expense. Two elevators close enough to be convenient and far enough not to hear. All kitchen appliances, dishes, untensils, mixers, blenders, etc. Tommy Bahama furnishings: 4 chairs & 3 bar stools. Hi-speed internet service in unit. Mostly family type video movies in unit. Rentals available from resort hotel. Boats available for rental from resort hotel. Several courses available in area. At foot of building on bay. Fully furnished condo with fully-equipped kitchen with all appliances, blender, coffee maker, mixer, toaster, plates, silverware, pots/pans, etc. Bed linens, bath & beach towels provided, as well as all soaps for bath, dishwasher, laundry detergent, etc. One men's and one women's terry robes for use while on visit. All-rooms central air conditioned & heated, clothes washer/dryer in unit. Building shared heated pools, hot tubs, beach chairs, lounge chairs, etc. Private lanai table, chairs, lounge chair, etc. Please, this is a non-smoking unit - no pets anywhere on premises or resort. Three of us lifelong friends visited last week. We had an amazing stay! What a beautiful place including the gorgeous view from the great screened in deck! The home is furnished very nicely and very clean! Henry's responsiveness was wonderful from the very moment we booked! We definitely recommend and will return again! Dear Luanne & friends; thank you so much for taking the time to review my listing. You and your friends would be welcomed back any time! We had a great experience at this condo on the water! The owner was great at responding to any questions! I would recommend this place to anyone! We will back! Thank you, Deanna for taking the time to review our property! We had s wonderful stay! The condo was exactly as pictured and in a perfect location. The condominium complex was wonderful the grounds were beautiful and the pool was fabulous. Henry was wonderful and took care of a small issue quickly. I would recommend his place and we hope to go back again! Dear Kim - my sincere appreciation to you for taking time to write a review. Your family would certainly be welcome back any time! Lovely condo with great views. Dear Janet, thank you so much for taking the time to review our property. It was a pleasure to meet your family. We stayed at this excellent Condo over the Christmas period 2018. The property is extremely well equipped, furnished and maintained with great care to a very high standard by the owner Henry who together with his partner Marie we had the pleasure of meeting during our stay. Henry provided us prior to our visit with comprehensive data sheets on the property and its location as well as excellent information on local restaurants and places to visit. The property has excellent views out over the bay and has an air conditioning and heating unit installed. It has private access to a swimming pool and sandy beach immediately adjacent to the Bay View Tower in which it is located. The Bay View Tower itself together with it's grounds and large private car park is extremely clean and well maintained with it's own maintenance manager on site. We found the property to be a peaceful and relaxing place to stay with the advantage of being on the excellent Sanibel Harbour site with it's extensive grounds and proximity to Sanibel Island and Fort Myers Beach. We would have no hesitation in revisiting this condo at the earliest opportunity. Dear Bob and Jo, thank you so much for taking the time to review our condo with such praise and detail. As you experienced, the pictures on this site don't reflect some of our latest improvements such as the total renovation of the second bath. I'm having new pics taken later this month and hope to update to the ad site soon. It was a pleasure meeting you and Jo and we would certainly welcome you back should your plans include another visit to Florida. Hang tough in the U.K.! Horace and Mary - thank you so much for taking the time to review our property. Reviews are what many future guests will use to make their vacation accommodation decisions. And, thank you for being such conscientious guests. Right on world renown Tarpon Bay, part of the San Carlos Bay system on the Gulf of Mexico on Florida's Southwest Gulf Coast! The Sanibel Harbour Resort & Spa is an all-amenities world class resort situated 100 yards from the causeway to Sanibel and Captiva Islands offering 100 unspoiled acres of natural habitat plus its own private beach-front. A short drive also takes you to the never-ending Sanible & Fort Myers Beaches. Follow the 'Avenue of Palms' (McGregor Blvd) to downtown Fort Myers with its unique bistros and also visit Thomas Edison's winter home and laboratory. This eco conscious area is the place to relax and experience nature! Other Activities: heated pools & hot tubs, spa and fitness center, tennis, jogging trail, on-site restaurants. Golf: A number of courses in close proximity: try Shell Point Golf Course a mile away, or The Dunes on Sanibel. * Saturday to Saturday Rentals (preferred; exceptions made) * Reservations confirmed upon receipt of $300 Rental Deposit. * Multiple Weeks Discounts: two weeks = 10%; three weeks = 15%; monthly (4 weeks) = 20% of four weeks rate. * $300 damage deposit (if damage insurance not purchased) - conditionally, fully refundable within 2 - 4 weeks.